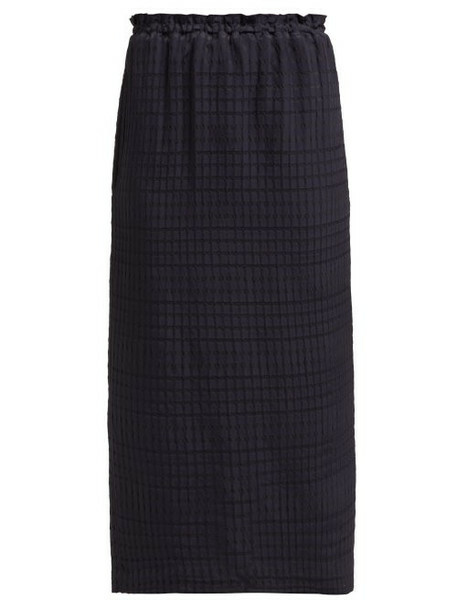 Raey - Raey's navy midi skirt is made from a lightweight seersucker that's blended with a touch of wool and woven with a graphic check. It features an elasticated ruffled waistband, handy side slip pockets and a back slit for full freedom of movement. Wear it with a high-neck blouse and boots for a refined edit.